Checking if csGO is fun again! Returning the the 7th consecutive year! Pre-registration ENDS May 17, 2019; you will still be able to register in advance, but door pricing will be in effect. In order to bring your own PC and truly participate in the LAN, you must purchase a BYOC pass; this covers your physical space, power, and network port. We just need you to get here with your rig and set it up. We can accommodate up to 40 BYOC players. Grants you access to the event space if you are not bringing a PC. In doing so, you will have access to consoles (ooh, Towerfall. ooh, Goldeneye) D&D, Drawful, tabletop/cards, etc. You will also be able to play audience to ongoing tournaments and any random giveaways or non-PC tournaments that may occur. Bring Your Badge from 2016-2018 to get a free BAWLS energy drink! Bring Your Own Lanyard to get a $1 kitchen voucher! 2019 will feature another delightful Siamese CS:GO tournament, more HL2DM, more Towerfall, and Drawful. Other games and tournaments will be announced after we gauge interest. We want your input on what games or events you'd like to see, so let us know on the forum what you'd like to see at LANFest 2019. Monitor, if needed (Only one please, 27" or less to be considerate of others' space). All cables & adapters, power, display, networking*, etc. * If, for whatever reason, you do not have a cable/it doesn't work/it isn't long enough, we will have CAT6 on site that we can custom-cut (ensuring proper length). These cables will be $5 for up to fifteen feet and are yours to keep. This makes your life easier. Why? you will be sure you have the correct length for the event (from your seat). before you arrive. This means more play time for you and more bandwidth for everyone. 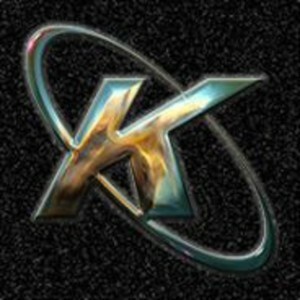 We want to ensure that everyone can enjoy high-quality network connectivity and gameplay. As always, we will have made-to-order food available for purchase at the event. Although our menu changes slightly from year-to-year, you'll always see our usual items. Orders will be able to be made via our Ordering System. Otherwise, there are a handful of restaurants nearby. Our at-event publications will have a map with that info. As of 1/11/19, the five hotels near the venue have availability. Local hotel rates are currently in the neighborhood of $100/night. Google conveniently lists the available options here. Remember, you may be able to get a better rate with a AAA membership or corporate affiliation. Remember: Hotel rates change all the time, so rates when you shop and book may differ from what was posted above. We suggest splitting a room with a friend! 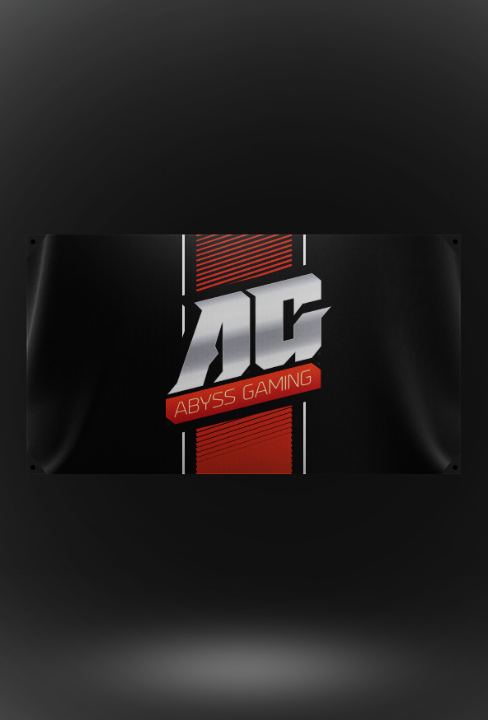 Abyss Gaming shirts will be available for purchase at the event. Buying shirts helps support the the community and the event. Funds from shirt sales go right back into future events and keeping our servers online. As always, tell your friends! We grow mostly by word of mouth. Send them our way to check this info out, or just flat out have them tag (or drag them?) along! You can find the official LANFest 2019 Discussion Thread here. 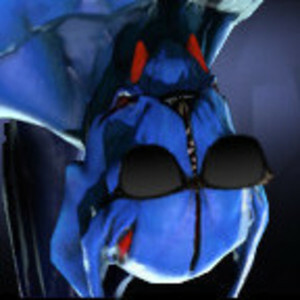 NOTE: This event (and all other Abyss Gaming events thus far) is not a "For Profit" event. Any money that is collected on top of our costs will be reinvested in the next event, prizes or tournaments. All staff are volunteers. There are no paid positions associated with this event. 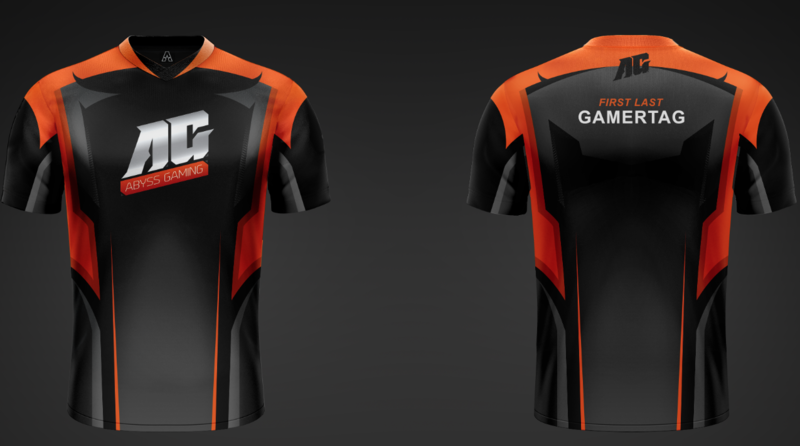 Alright guys... As the title says, this is the last call to pre-order our custom eSports Pro Jersey and/or a Pro Hoodie. & size based on the size charts below. These will be available from the manufacturer on demand via links we will share to their website, however, they will be much cheaper to buy with this bulk order. We will be generating and issuing Paypal invoices to the e-mail we have listed. Note: Unless you have purchased a LAN ticket and talked to me about paying for your pre-order at the LAN, you will be removed from the list if the invoice isn't paid prior to the placement of the order. If you are not picking up your purchase at the LAN, there may be a small additional shipping fee added to your invoice. The deadline to secure the promotional bulk order pricing on Jerseys and Pro Hoodies is May 12. 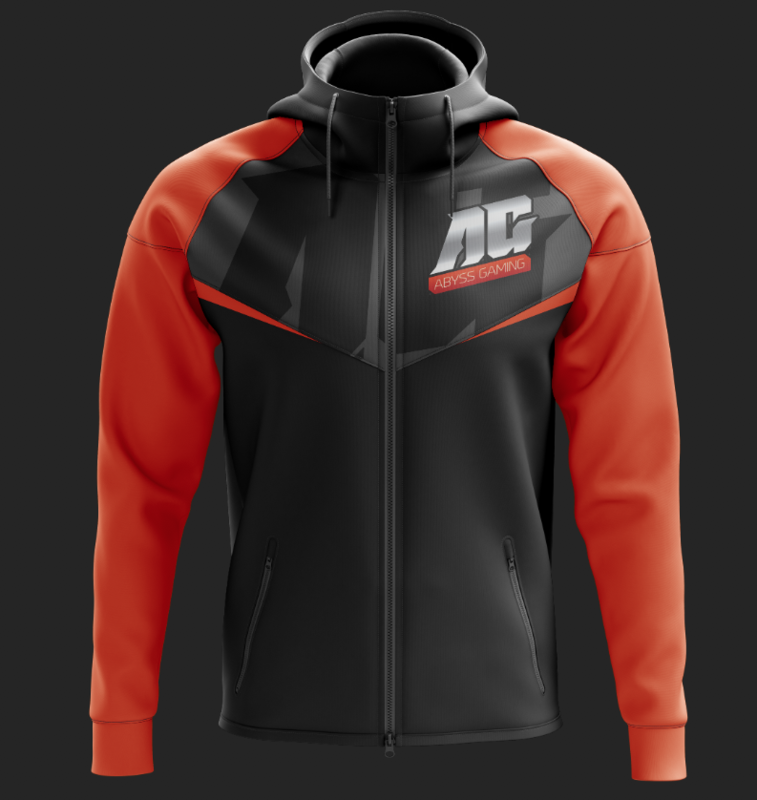 After that, the promotional offer expires and all merchandise will be available for individual order, including personalization (gamertag), at regular price from our vendor, Akquire. Links to our merch with Akquire will be provided once they are configured. Additionally, because these are personalized, all sales are final. See you guys at the LAN! There are a few other designs available. The only one I am going to include at this very second is the flag. Returning the the 6th consecutive year! Bring Your Badge from 2016 or 2017 to get a free BAWLS energy drink! 2018 will feature another delightful Siamese CS:GO tournament, more HL2DM, more Towerfall, and Drawful. Other games and tournaments will be announced after we gauge interest. We want your input on what games or events you'd like to see, so let us know on the forum what you'd like to see at LANFest 2018. As always, we will have made-to-order food available for purchase at the event. Although our menu changes slightly from year-to-year, you'll always see our usual items. Orders will be able to be made via our Ordering System, which will feature enhancements over last year's version. As of 1/5/18, the five hotels near the venue have availability. Local hotel rates start at $68 per night and run through $144. Google conveniently lists the available options here. Remember, you may be able to get a better rate with a AAA membership or corporate affiliation. Remember: Hotel rates change all the time, so rates when you shop and book may differ from what was posted above. We suggest splitting a room with a friend! You can find the official LANFest 2018 Discussion Thread here. Person on Phone: Hi this is Lisa from R&L Carriers. Lisa: We have a shipment from BAWLS coming for you that we'd like to get to you in the next business day or so. 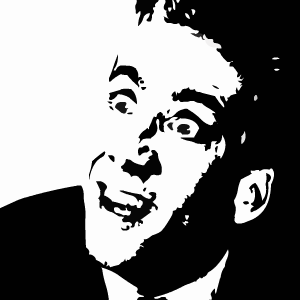 Me: Oh, they shipped freight?! Lisa: Can we send a semi, or does your street need a smaller box truck? Me: Definitely need a box truck. A semi would have a bad time. Lisa: Okay, noted. How's Monday? Me: I assume someone's going to have to be on site to receive the delivery? Lisa: Yep - will there by between 9AM and 1PM? Yes - that is a partially unloaded pallet of BAWLS. 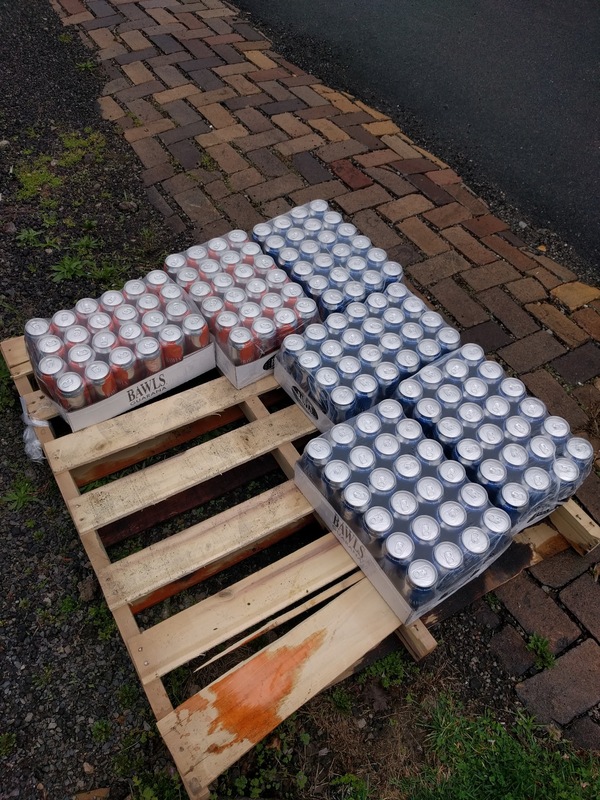 Delivered via Freight this morning, hauled up to our storage facility (aka tiny apartment because we don't have a proper storage facility at this time) by Phix. For LANFest 2017...because we lova ya. 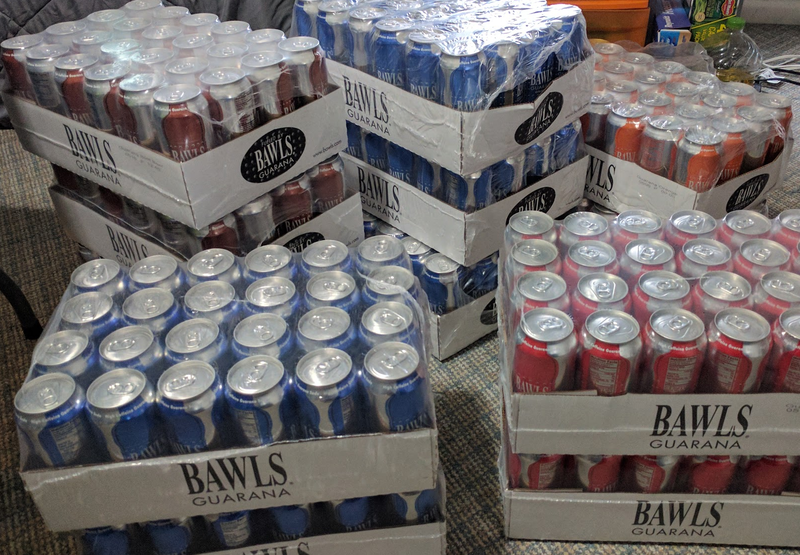 Massive thanks to BAWLS for working with us to make this happen! Not susceptible to breakage like bottles are. 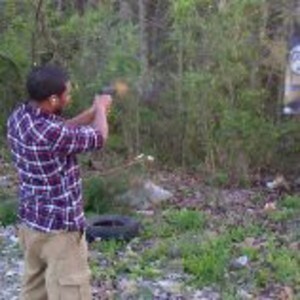 No risk of broken glass! Price-per-can will be the same as the price-per-bottle last year. Returning the the 5th consecutive year! (NEW!) Bring Your Badge from last year to get a $5 kitchen voucher! 2017 will feature another delightful Siamese CS:GO tournament, more HL2DM, more Towerfall, and Drawful. Other games and tournaments will be announced after we gauge interest. We eagerly seek your input on what games or events you'd like to see, so head over to the forum and tell us what YOU want to see at LANFest 2017. Also, please ensure that the computer you bring is up-to-date with OS updates, Steam Updates, and any games you plan to play before you arrive. This doesn't only mean more time to play for you, but it also means that bandwidth isn't being hogged by such downloads/installs so that everyone can enjoy high-quality network connectivity and gameplay. Otherwise, there are a handful of restaurants nearby. Our brochures will have a map with that info. As of 3/28/17, the five hotels near the venue have availability. Rates start at $87 per night and run through $144. Google conveniently lists the available options here. Remember, you may be able to get a better rate with a AAA membership or corporate affiliation. Remember: Hotel rates change all the time, so you may rate ranges may differ from what was posted above. We suggest splitting a room with a friend! 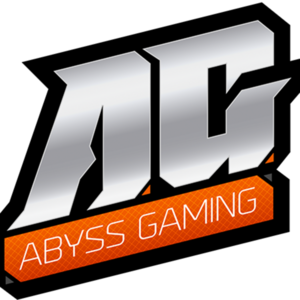 Abyss Gaming shirts will be available for purchase at the event. Buying shirts helps support the LAN and allows it to continue living! You can find the official LANFest 2017 Discussion Thread here. Also, you shouldn't really drag your friends. Consent is important, and is as simple as tea. You should, however, encourage them not to be shy! We've had only good, albeit weird (aka all of us; part of the territory) people at our events. We hope to see you in October!